Soon after I enrolled as a graduate student at Cambridge University in 1964, I encountered a fellow student, two years ahead of me in his studies, who was unsteady on his feet and spoke with great difficulty. This was Stephen Hawking. He had recently been diagnosed with a degenerative disease, and it was thought that he might not survive long enough even to finish his PhD. But he lived to the age of 76, passing away on 14 March 2018. It really was astonishing. Astronomers are used to large numbers. But few numbers could be as large as the odds I’d have given against witnessing this lifetime of achievement back then. Even mere survival would have been a medical marvel, but of course he didn’t just survive. He became one of the most famous scientists in the world — acclaimed as a world-leading researcher in mathematical physics, for his best-selling books and for his astonishing triumph over adversity. Perhaps surprisingly, Hawking was rather laid back as an undergraduate student at Oxford University. Yet his brilliance earned him a first-class degree in physics, and he went on to pursue a research career at the University of Cambridge. Within a few years of the onset of his disease, he was wheelchair-bound, and his speech was an indistinct croak that could only be interpreted by those who knew him. In other respects, fortune had favoured him. He married a family friend, Jane Wilde, who provided a supportive home life for him and their three children. Using these techniques, Hawking worked out that the universe must have emerged from a “singularity” — a point in which all laws of physics break down. He also realised that the area of a black hole’s event horizon — a point from which nothing can escape — could never decrease. In the subsequent decades, the observational support for these ideas has strengthened — most spectacularly with the 2016 announcement of the detection of gravitational waves from colliding black holes. He worked in the same building as I did. I would often push his wheelchair into his office, and he would ask me to open an abstruse book on quantum theory — the science of atoms, not a subject that had hitherto much interested him. He would sit hunched motionless for hours — he couldn’t even to turn the pages without help. I remember wondering what was going through his mind, and if his powers were failing. But within a year, he came up with his best ever idea — encapsulated in an equation that he said he wanted on his memorial stone. The great advances in science generally involve discovering a link between phenomena that seemed hitherto conceptually unconnected. Hawking’s “eureka moment” revealed a profound and unexpected link between gravity and quantum theory: he predicted that black holes would not be completely black but would radiate energy in a characteristic way. This radiation is only significant for black holes that are much less massive than stars — and none of these have been found. However, “Hawking radiation” had very deep implications for mathematical physics — indeed one of the main achievements of a theoretical framework for particle physics called string theory has been to corroborate his idea. 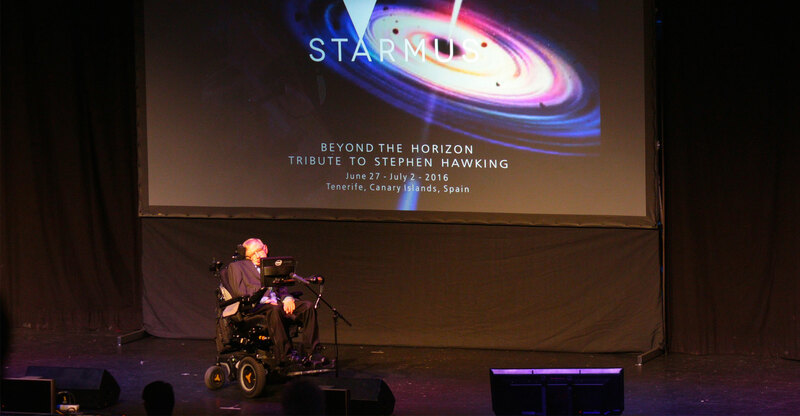 Hawking continued to seek new links between the very large (the cosmos) and the very small (atoms and quantum theory) and to gain deeper insights into the very beginning of our universe — addressing questions like “was our big bang the only one?”. He had a remarkable ability to figure things out in his head. But he also worked with students and colleagues who would write formulas on a blackboard — he would stare at it, say whether he agreed and perhaps suggest what should come next. He was especially influential in his contributions to “cosmic inflation” — a theory that many believe describes the ultra-early phases of our expanding universe. A key issue is to understand the primordial seeds which eventually develop into galaxies. Hawking proposed (as, independently, did the Russian theorist Viatcheslav Mukhanov) that these were “quantum fluctuations” (temporary changes in the amount of energy in a point in space) — somewhat analogous to those involved in “Hawking radiation” from black holes. In 1987, Hawking contracted pneumonia. He had to undergo a tracheotomy, which removed even the limited powers of speech he then possessed. It had been more than 10 years since he could write, or even use a keyboard. Without speech, the only way he could communicate was by directing his eye towards one of the letters of the alphabet on a big board in front of him. His lectures were, of course, pre-prepared, but conversation remained a struggle. Each word involved several presses of the lever, so even a sentence took several minutes to construct. He learnt to economise with words. His comments were aphoristic or oracular, but often infused with wit. In his later years, he became too weak to control this machine effectively, even via facial muscles or eye movements, and his communication — to his immense frustration — became even slower. As shown in the feature film The Theory of Everything, which tells the human story behind his struggle, Hawking was far from being the archetype unworldy or nerdish scientist. His personality remained amazingly unwarped by his frustrations and handicaps. He had robust common sense and was ready to express forceful political opinions. However, a downside of his iconic status was that that his comments attracted exaggerated attention even on topics where he had no special expertise — for instance, philosophy, or the dangers from aliens or from intelligent machines. And he was sometimes involved in media events where his “script” was written by the promoters of causes about which he may have been ambivalent. 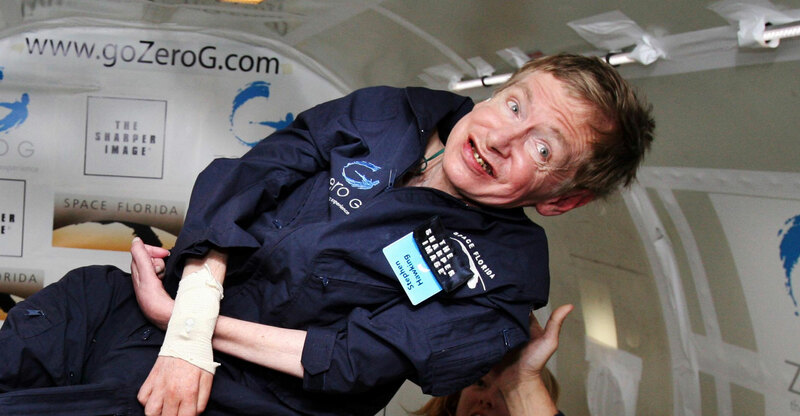 Ultimately, Hawking’s life was shaped by the tragedy that struck him when he was only 22. He himself said that everything that happened since then was a bonus. And what a triumph his life has been. His name will live in the annals of science and millions have had their cosmic horizons widened by his best-selling books. He has also inspired millions by a unique example of achievement against all the odds — a manifestation of amazing willpower and determination.